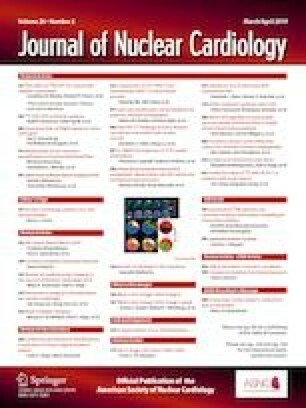 Although SPECT MPI has been around since the 1980s, there is a still a considerable variation in acquisition and reconstruction protocols worldwide and adherence to international guidelines and best practices relating to radiation exposure is low.7 For example, more than half of the European and 80% of the American sites use fixed activity protocols instead of patient-specific protocols.8 Yet, it has been shown that weight-based SPECT MPI protocols result in either an improved overall image quality or a comparable image quality while administering a lower activity.9,10 Adopting a count-based patient-specific activity or scan-time protocol results in a constant image quality across patients but does not account for all factors that determine the image quality of SPECT MPI and are therefore often center specific. In the current issue of the Journal of Nuclear Cardiology, Cuddy-Walsh et al. developed a patient-specific activity protocol to standardize the average noise in a reconstructed image, irrespective of the SPECT camera, reconstruction algorithm, body weight, or gender.11 They retrospectively included 43 patients and simulated and calculated the image noise in the SPECT MPI scans acquired on both a conventional and multi-pinhole cadmium-zinc-telluride (CZT)-based SPECT camera. They found that there was a 3.6-fold difference in activity required to obtain the same number of photon counts and a 16-fold difference to obtain the same image noise between the CZT and conventional SPECT camera when using the same scan time. Moreover, they found in their regression analyses that body weight explained 85-89% of variation in image noise and that applying a body-weight-depending protocol in an additional 58 patients resulted in image noise independent of body weight. They further concluded that the body-weight-dependent activity protocol depends on camera and reconstruction algorithms and not solely on the number of photon counts. Although the method to determine the image noise by statistically resampling the projection sets is somewhat difficult and may be burdensome for sites to perform, this is an original approach and the results are promising. The derived correlation between image noise and body weight (R2 = 0.85 to 0.89) is better than the previously reported correlation between photon counts and body weight (R2 = 0.61).10,11 One remark which should be made is that the 16-fold difference in the product of activity and scan time required to obtain the same image noise on a conventional instead of a pinhole camera does not necessarily imply that one has to increase the activity or scan time a 16-fold to obtain the same image quality. The level of noise and defect detectability in a reconstructed image heavily depends in a nonlinear fashion on the reconstruction method. A different reconstruction method can artificially alter image noise with only a limited effect on defect detectability.12 Standardization by noise rather than counts may result in a better image quality as one can better account for camera type and reconstruction algorithm but it still does not ensure sufficient defect detectability. However, the study by Cuddy-Walsh et al. gets us one step closer to achieving optimal image quality and provides new insights that can be used for the development of a method which ensures both a constant noise and sufficient defect detectability. As a next step in developing such a method, one can think of a standardized phantom test that can be used to easily derive the activity scan-time product and acquisition and reconstruction settings to obtain a standardized image quality with an optimal defect detectability for any SPECT scanner. Obtaining standardized image quality will presumably also result in a better consistency in (semi-)quantitative SPECT outcomes measures between centers, for example, ejection fraction and summed stress-, summed rest-, and summed difference scores, and will therefore potentially further enhance the role of these outcome measures in standardized image interpretation. Such a phantom test is already widely used in the standardization and quantification of FDG whole-body PET studies.13,14 It allows centers to determine the injected activity—scan-time product and reconstruction settings for their PET system(s), to achieve a standardized and comparable image quality between centers. There are still some hurdles to overcome before having such a phantom test to standardize SPECT MPI. The first hurdle will be to design and validate a phantom test that can be used on all SPECT cameras to objectively determine the image quality in a fast and reproducible way. To this end, a commercially available cardiac phantom with myocardial defects may be used, for example, an anthropomorphic torso phantom with a cardiac insert (Data Spectrum Corporation). Next, one should derive a patient protocol by assessing the image quality of the phantom scans by looking at several reconstructions using varying activity scan-time products and protocols while assessing defect detectability and noise. The last hurdle before routine implementation would be to determine the minimal image quality that is required to obtain sufficient defect detectability and noise levels. The acceptable noise levels can be assessed by the method demonstrated by Cuddy-Walsh et al. and can therefore be considered as an important next step in establishing a phantom test to standardize myocardial perfusion imaging using SPECT across centers throughout the world.